As a homeowner, you can have an issue with an underground oil tank and not even be aware there is one on your property. Routine home inspections done in connection with property transfers usually don’t reveal the existence of buried tanks. Unfortunately, liability for any issues caused by the tank lies with the current homeowner. Statewide Environmental Services LLC offers a full range of oil tank services for residential property owners — from tank location to removal and new installs. We offer on-site evaluations for the most accurate price quotes. Odors, saturated drainage fields, and system backups are all clear signs of issues with your septic system. If ignored, these issues could lead to bigger problems affecting the health of you and your family, the environment, and your property value. Statewide Environmental Services LLC offers cost-effective, efficient solutions to most septic system problems. Our maintenance service can help correct issues before they get out of control, and our repair services can help you avoid a more costly septic system replacement. The abandonment and removal of underground oil tanks is a regulated process. If not done according to State and local requirements, your ability to sell your home at a later date could be jeopardized. You’ll want to rely on an environmental company experienced and certified in oil tank services for the job. Statewide Environmental Services LLC fits that criteria. Septic system issues can lead to serious health and environmental issues. Whether you’re looking for maintenance or repair services, or you want to expand your current system to accommodate increased capacity, you’ll want a company that gets the job done. Statewide Environmental Services LLC offers quality septic services at affordable prices. Statewide Environmental Services LLC has a full-time staff with well-maintained, up-to-date company-owned equipment. We are able to schedule your services at your convenience and complete the job quickly and neatly. 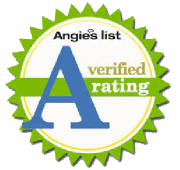 Our technicians are State certified and we are fully-insured. All work is covered by comprehensive liability insurance, including pollution liability insurance and performed in compliance with federal, State and local regulations. Every environmental job is treated with the utmost care for the property. We use low-ground disturbance equipment and approach each environmental site as if it were our own.